The owner of the Houston Texans football team has apologized for comparing players who protest during the national anthem to inmates running a prison. "I regret I used that expression. I never meant to hurt anyone and I was not referring to our players," Bob McNair said in a statement Friday. "I used a figure of speech that was never intended to be taken literally. I would never characterize our players or our league that way and I apologize to anyone who was offended by it." 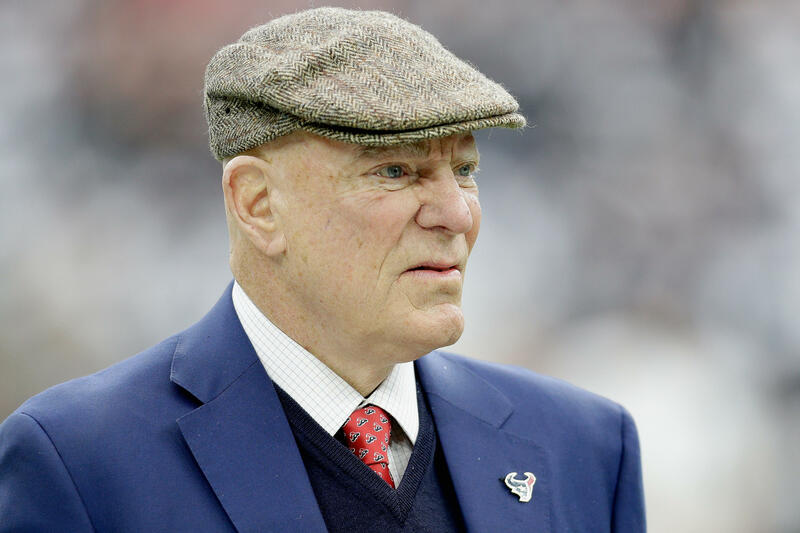 McNair made the comment at a recent meeting between NFL owners, team executives and league commissioner Roger Goodell in the hopes of finding common ground with players across the league protesting against racial injustice. According to a report in ESPN The Magazine, McNair said he'd received scores of complaints about the anthem protests from outraged fans. "We can't have the inmates running the prison," McNair reportedly said of the players protesting. "That statement stunned some in the room," ESPN's Seth Wickersham and Don Van Natta Jr. report. The comment came after Dallas Cowboys owner Jerry Jones, one of the fiercest opponents of the activism started last year by Colin Kaepernick, urged team owners to consider the negative business impact of the protests. NFL executive and former player Troy Vincent said he was offended by McNair's comment, ESPN reports, saying that after all of his years in the league, despite being called the N-word, he never felt like an inmate. McNair later apologized to Vincent, saying he never meant for his words to be taken literally. Some Texans players considered staging a walkout for Friday's practice in response to McNair's comment, tackle Duane Brown told reporters. "I think the comments were disrespectful, I think it was ignorant, I think it was embarrassing," Brown said, according to The Houston Chronicle. "I think it angered a lot of players, including myself. We put our bodies and minds every time we step on the field. To use an analogy of inmates in a prison, I would say they're disrespectful." Brown also said he was "sickened" by McNair's comments but wasn't surprised by them. Rookie safety Treston Decoud responded to McNair's comments on Twitter: "I don't believe he is the only owner that feel that way... smh."